The Jewish Tour of Lviv wasn't just interesting, it was also a reminder of the cruelty of humans to each other. Personally, I think that you can't just go to Lviv and enjoy the wonderful food and ambience of the many themed cafes and restaurants. You need to balance it with this trip down memory lane and remember all those who were murdered because they were Jewish. Lviv is an amazing city in Western Ukraine with heaps of history and amazing cafes and restaurants making it a foode heaven. I got my Grade 4 Class to write letters to Mother Earth. Here are some of the things they wrote. I am so sorry about all the pollution we humans are making. I will try to stop people polluting but it won't be easy. And I'm sorry that people are cutting down your trees. I will try to recycle when I can. I will tell my whole family about it. I hope that you will get better, Mother Earth. I love you because you gave me lfe. In 2018 it was cold but now it is hot and there is so much ice. Can you stop it? Sorry for the climate and the terrible things some people do like throwing plastic. I hope you'll be okay. You're the kindest person I've seen and I want to help you to continue to give us life. You're the most caring person. I hope people will stop! I don't know why people do this to you? I feel bad for you. I hope you stay strong as I believe in you. It's okay to feel pain. Just breathe in and breathe out. You are strong. You are kind. You can make it through. Is the earth okay? My wish for you is that the water stays fresh, te flowers are blooming and the sun keeps shining. We are so sorry for our bad behaviour and all we humans have done. How could we ever thank you for all the water and food you have given us over the years? We all love you, but some weird people don't deserve you. I am so angry at bad humans. Every time I see rubbish, I pick it up and put it in the trash. I am sorry people are bad to you but I wonder what you plan to do about it and if the world will go down and if it happened what will happen to us. Why must good people suffer for the things bad people do? Four years ago, I helped Mother Earth by planting lots of little trees at my house. The trees give us air. I am worried about three things. Cutting down too many trees. I'm so sorry for what we have done to the earth. The earth is getting worse and worse and many people try and stop this but it's not enough. The poles are melting and pollution is happening. The earth is getting warmer and warmer. Before everyone thought we could do what we want and it would be okay but it has all gone so bad too fast. I wanted to ask you if the world will go down like a ship? It sounds very dark. How will it go down? Climate change? Will you ever be able to forgive humans for what we have done to you? We can still change and right now there are children all over the world sriking just because they are angry at what their parents did to cause climate change. Do adults even care? 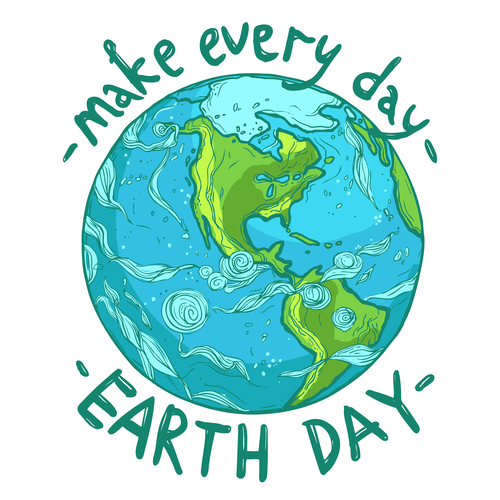 Many people say that they are doing good things for the environment but they are lying. It's all about the money. They don't care if they hurt or damage you as long as they make money. Follow my travels on my travel blog cindyvinetravels.com, as I look back at some of my most memorable trips over the years. Find out information on how to get there and how to get around. Dog sledding was on my bucket list. After doing some research, I found a dog sledding tour place near me the town I live in. You can also follow my travel blog on cindyvinetravels.com, to find out about some of the destinations I've travelled to and also get some travel tips. You don't have to be young and beautiful to be a traveler or youtuber. Even old fat women can travel and make travel videos! I was lucky enough to spend 4 days in Iceland. The weather was terrible, but I still managed to achieve 3 items on my bucket list. The Northern Lights, Blue Lagoon and to ride a snowmobile on a glacier. This is a letter I received from Jon Howard whom I do not know and have never met before. As a victim of bullying back in the 80’s when I was at school I thought long and hard about your story and what it meant to me. It dragged back feelings of sickness and revulsion at the bullies in your story, you did an amazing job on the characters adding a degree of depth and realism that only the bullied can ever really appreciate. I’m just so grateful that access to social media wasn’t a thing back then as I know I would have been even more of a victim and god alone only knows if I’d ever have been able to recover from some of the crap that the bullied of today have to deal with. As a victim of being bullied I can appreciate the utter destruction that it does to ones feelings of self worth and confidence and as a parent it was my greatest fear that my kids would be bullied and so I always tried to to what ever I could to quash any signs of bullying and give my kids the level of self confidence that would allow them to develop their own armour. I’ve often told them that if they can’t look in the mirror and learn to love the person looking back then they’ll never develop the sense of self worth that is required to believe that they are worth fighting for, and to stand up to the bullies. Anyway, it’s late (or early) and I’m rambling a bit so I just wanted to thank you again and can’t wait to read some more of your work. 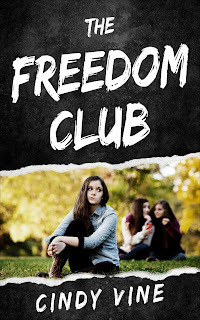 You can purchase The Freedom Club on Amazon in both ebook and paperback format. Here is the link for the ebook. Cindy Vine is a South African currently living in Norway. She classes her books as 'reality' fiction as they cover everyday social issues many people face. The Freedom Club has been translated into both Spanish and Portuguese. Some of her other novels are The Case of Billy B, Not Telling, Defective and Hush Baby. Not everybody has a life that is perfect all the time. Most people have a life full of ups and downs - a bit like a roller-coaster. When you are on the down part it is easy to get depressed and fall into a funk. A bucket list can move you out of that dark place. A bucket list is a list of things you'd like to do before you die, or kick the bucket. We all have dreams and goals. We just don't write them down. Sometimes we store them in some obscure part of our brain. Most of the time, those dreams and goals gather cobwebs as we push them further and further away. If we are not careful they will become out of sight, out of mind. Writing them down brings them to the fore. Granted, not all dreams are achievable, but many are doable. The doable ones, write down on your bucket list and then make a plan to start ticking them off your list. 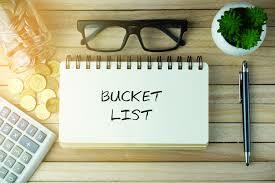 Planning to achieve and complete items on your bucket list is certain to get you out of the funk as it gives you a purpose. Something to work towards. A reward to celebrate the journey. For me a bucket list is all about keeping my spirit of adventure alive. I want my gravestone to read "She lived her life to the fullest." I want to experience as much as possible and make as many memories as I can to savor and ruminate over when I am too old and frail to do anything. And then of course, I might go before I get old and frail. You just never know. So, I have to try and do as much as possible before my time is up. My bucket list gives me hope as well as happiness. If I find myself feeling down, I will focus on my bucket list and start to get excited. What should I do next? For every item I tick off, I think of a new one to replace it with. So my bucket list is continually evolving. I have a few bucket list items coming up soon that I will be able to tick off my list. What can I replace them with? I feel happy just imagining what I can do next. I loved, loved, loved this book! Set in the horrors of the holocaust, it is a story of hope, never giving up, human ingenuity and enduring unbelievable love. It is truly a love that conquers all. The author has managed to capture it all and write it so that you feel as if you are watching a movie in your head. Definitely my best read of 2018 and highly recommended. Cindy Vine is a South African living in Norway. She is the author of The Case of Billy B, Not Telling, Defective, CU@8, Hush Baby and The Freedom Club. All her books are available on Amazon in both ebook and paperback formats. If you like a book with a happy ending, then this is definitely not the book for you. This book is full of tragedies that will leave you reeling. It combines legal drama with historical fiction. As someone who likes historical facts, the war section was quite gripping. But in saying that, a lot of it wasn't really necessary for the story and might put off a lot of readers. The twist in the wtist was a bit of a surprise, and I think Grisham wrapped up the story too quickly. I wanted it to end with at least one good happy event and a come-uppance to the baddies! Cindy Vine is the author of The Case of Billy B, CU@8, Defective, Hush Baby and The Freedom Club. All her books are available on Amazon in both ebook and paperback format.